This election could still mark a decisive turn in our politics, and our national life. The address Bernie Sanders gave last night on the future of his political revolution was not a concession speech. Instead, it was an invitation—to his millions of supporters, and to anyone concerned, not just with defeating Donald Trump, but with the direction of this country—to pivot away from fighting Hillary Clinton and towards continuing the struggle for economic justice, social justice, civil rights, gay rights, women’s rights, and environmental justice. 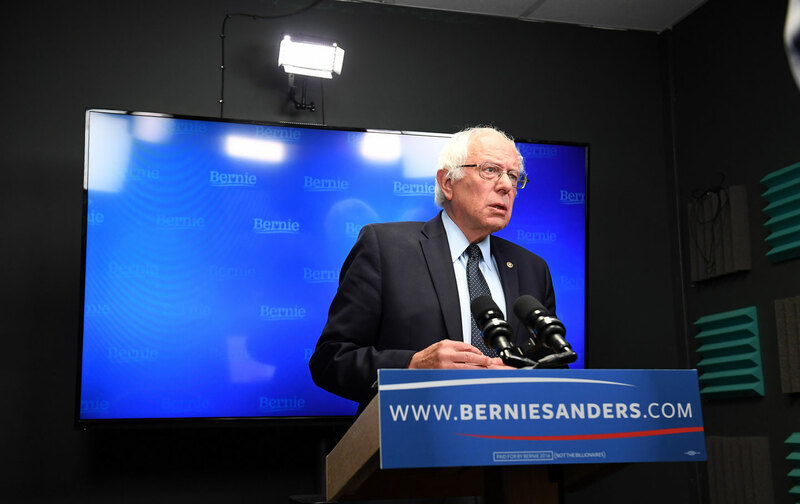 Yet Sanders was also crystal clear, both on what is at stake, and his own role in that fight: “The major political task that we face in the next five months is to make certain that Donald Trump is defeated and defeated badly. And I personally intend to begin my role in that process in a very short period of time.” If not the engagement announcement some Clinton supporters may have hoped for, this was much more than merely an willingness to be wooed. Because, as Sanders said last night—and has maintained since his candidacy was little more than a blip in the polls—“this campaign has never been about any single candidate. It is always about transforming America.” Without committing to that transformation—to ending the “disgrace” of childhood poverty, getting big money out of politics, ensuring the wealthy pay their fair share of taxes, making health care a human right and higher education no longer dependent on income or wealth—winning in November will have little consequence. Instead of calling for his supporters to leave the field, or to enlist en masse in the Clinton campaign Sanders called for the Democratic Party to wage a 50-state campaign—and for his troops to join that battle by “running for school boards, city councils, county commissions, state legislatures and governorships.” Interestingly—and perhaps wisely—Sanders did so without indicating whether he’d be supporting existing efforts like the Working Families Party, new ones like Brand New Congress, or starting his own organization. But the agenda in Philadelphia, at least, is now clear. No matter what some of his more ardent followers may wish, Sanders has never shown any interest in playing the spoiler. Instead, in laying out the agenda for his enthusiastic cooperation, he has also given Hillary Clinton the chance to show that her repeated claim to be a “progressive who gets things done” is more than mere rhetoric.